Thanks to Chris O’Dell and Simon Ellington for giving great talks at our January 2019 meetup. 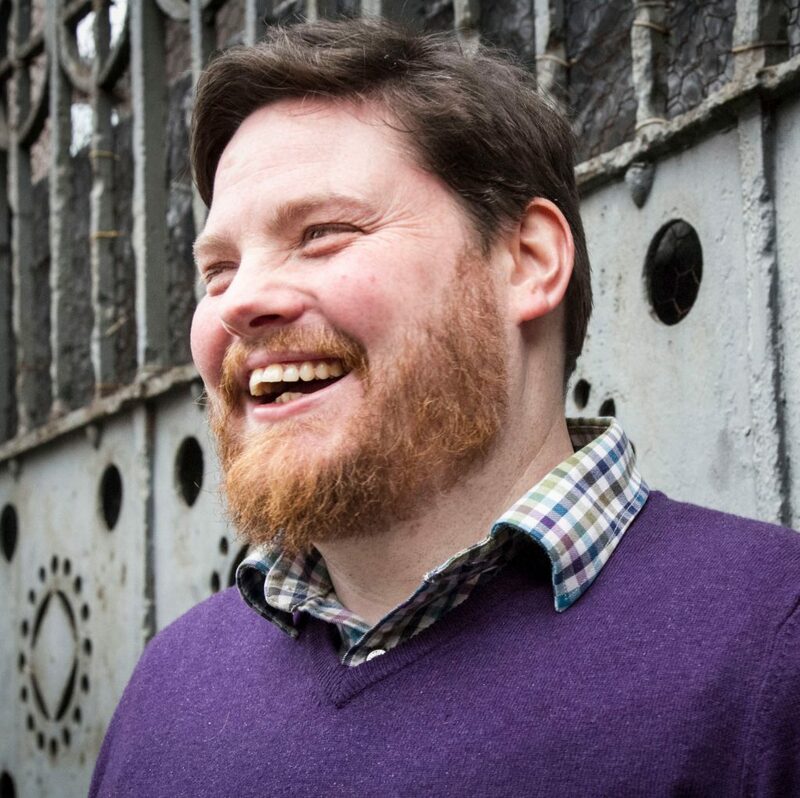 Chris spoke on using WordPress to create a Minimum Viable Product to test the market. His quick approach to get a service/product to market was inspiring. Chris’s full presentation is available for you to look through. Simon spoke about how to use plugins in a super clever way to patch together a site offering a complex product. For reasons of client confidentiality he has shared a redacted version of his talk. December 6, 2018, WordPress.org will update the core of WordPress with the new editor, ‘Gutenberg’. It’s a little controversial and makes some big changes to how the ‘back end’ of your WordPress site will look once you have updated WordPress. Your hosting company may delay updating the new version of WordPress until later (often predicted to be January 2019) to give the various people and organisation in the WordPress community a chance to debug it. 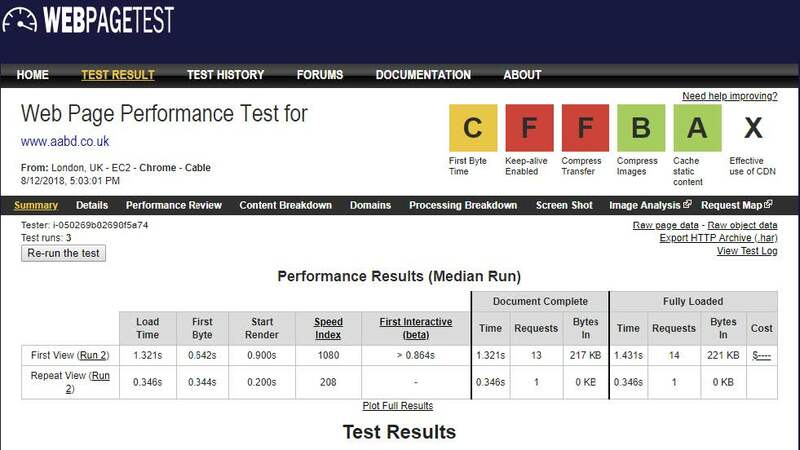 So, you may find it’s the same for a bit and then changes in a few months, depending on the hosting you use. We’ve rounded up some helpful links so you can get some background, find some tutorials and prepare yourself. We’ll also be running some meetups about this in 2019 – so join WordPress Cambridge Meetup and get notified of all our meetings. WordPress Cambridge has a forthcoming meeting where you can bring your own questions, concerns, and ask other people who are there – or you can be someone who gets up and answers or makes suggestions to others! It’s on December 10 2018 at the Bradfield Centre and you can see details on our meetup.com site. Personally I would strongly not recommend people update to this straight away. Most commercial hosting companies are likely to wait until they update sites (I’ve been told WP Engine don’t plan to roll out 5.0 until Jan). 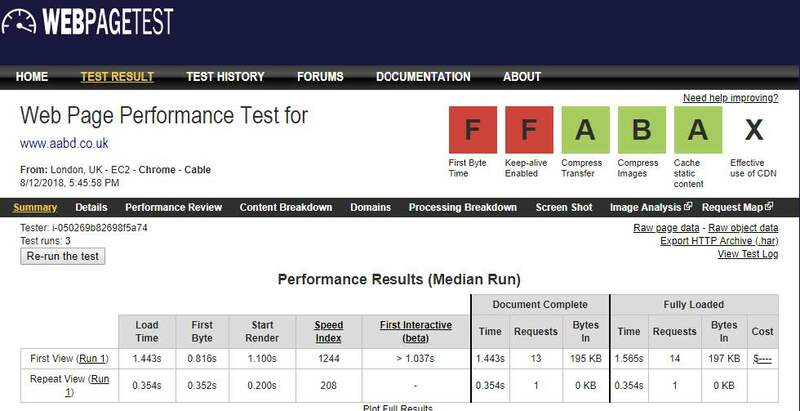 By mid-Jan there will be bug releases and plugins like ACF (which is not currently 100% compatible) should be stable. Yoast on how Gutenberg isn’t ready quite yet… And a post by esteemed plugin authors, ACF (Advanced Custom Fields) on a similar note. Yoast on the question of whether you should update to Gutenberg (also known as WordPress 5.0) and Yoast on ‘pressing questions’ that remain about Gutenberg. 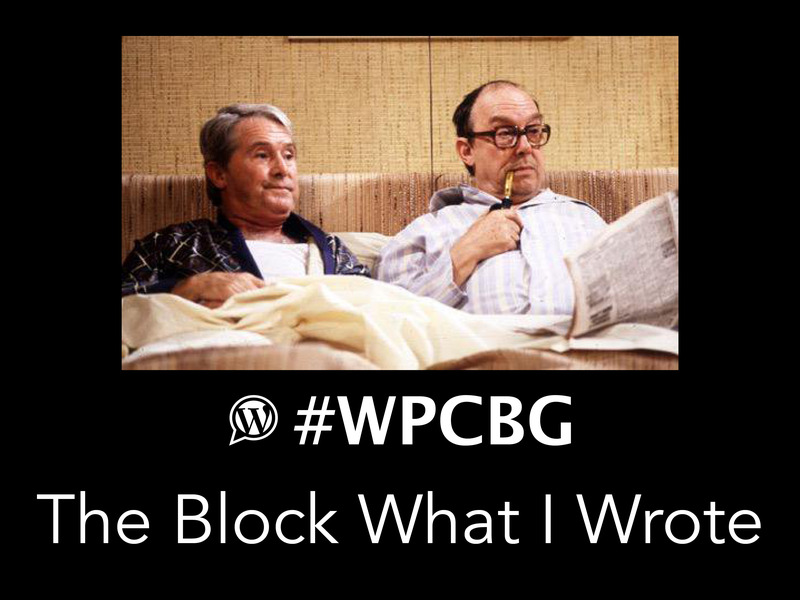 In addition, ACF produced a blog ‘the night before’ Gutenberg giving their most recent views. And don’t forget to check out Simon Jones’ own blog post. Jonathan Whiteland of YTKO, and an active member of WordPress Cambridge, is proceeding cautiously too – scaling back the eagerness of his nightly auto-updating scripts and looking out for plugin problems too. We’ll add more links – get in touch via WordPress Cambridge Meetup if you have something to contribute. 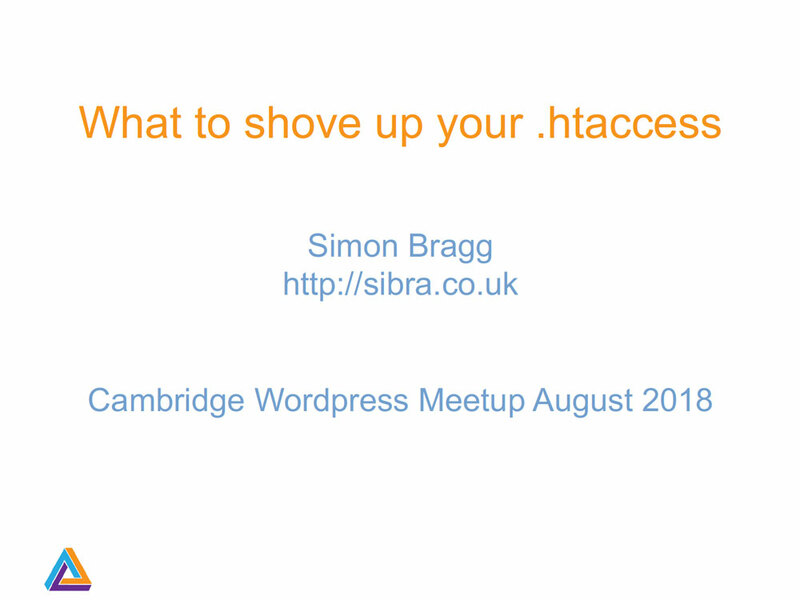 Simon Bragg of website and design agency Sibra gave a talk on Monday about the .htaccess file. This file is found in the root directory of websites running on Apache web servers (so check what server software you are using if the htaccess is missing). 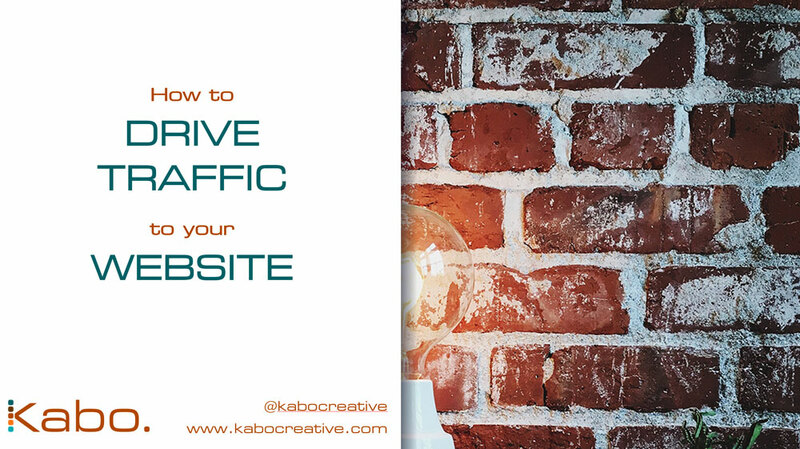 It controls access to pages on the site, handles redirects and can be used for security and optimisations. But cheapo host doesn’t allow this. 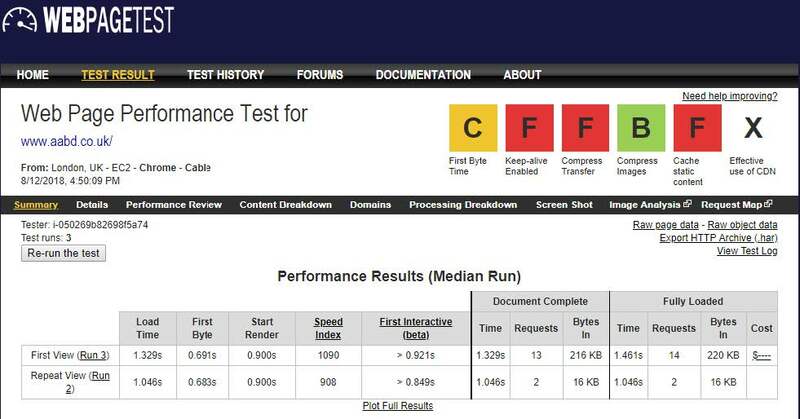 Have mod_rewrite.c enabled for #Begin WordPress stuff. ^ means start of string, (/D) means 1 non digit character. 3. Block unauthorized execution of PHP files. Was a security concern, although not any more. Thanks to Simon for his excellent talk! VVV – what the heck? WordPress current version and WordPress development version as well as WP-CLI – WordPressy whatsits. Awesome. How do I get it? Done all that. Now what? but you’re already using workflow, right? Do you recommend it then? Feel free to suggest alternatives! 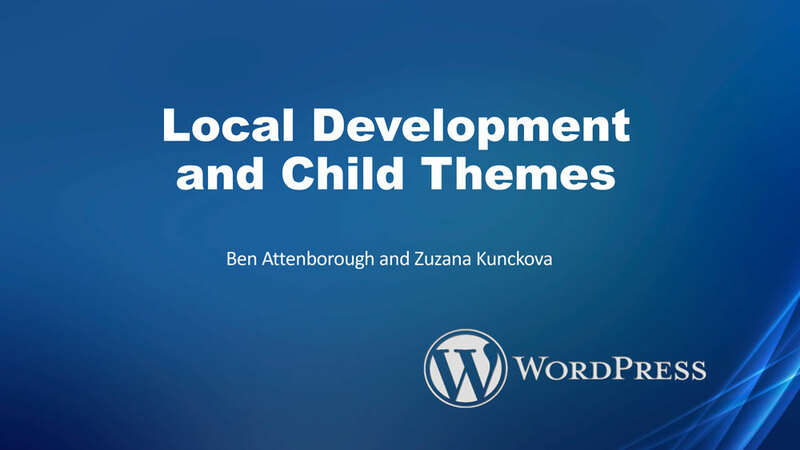 First checkout the official WordPress Codex documentation on child themes. If anyone has any questions or suggestions feel free to say! 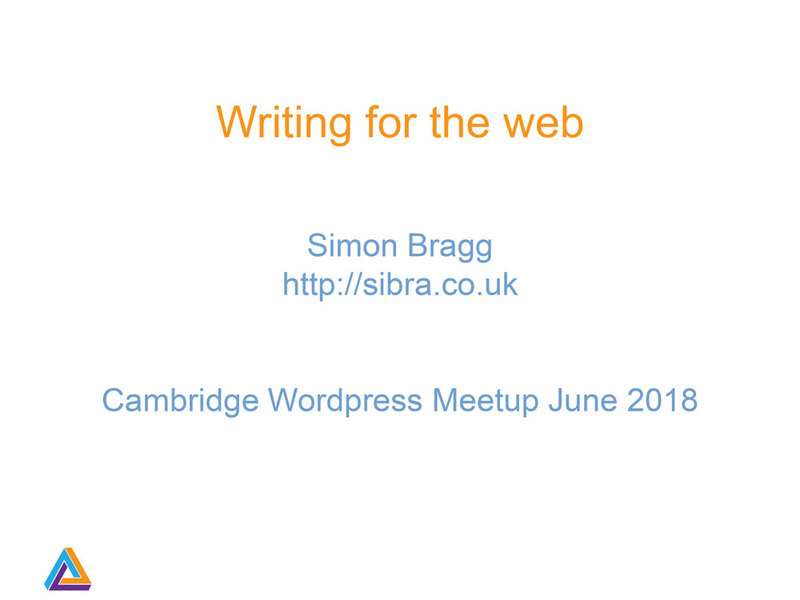 Simon Bragg from Sibra gave a presentation last night on Writing for the Web. Once again the presentation was very insightful and prompted lots of debate. Thanks Simon! Tim Nash (@tnash) from 34SP joined us on Monday 14 May to share his knowledge of WordPress security. Thanks folks who came to my Practical Security talk at WP Cambridge last night. Today it’s time to take action we covered a lot of stuff so where to start? Here are 3 things to do right now.